Quiet town suitable for families and couples seeking an intimate and romantic holiday, but at the same time interesting for the younger ones, thanks to the many keys to where it can be lived. (But at the same time, renowned among surfers from around the world, amateurs and professionals called by major events like the Big Wave Invitational Quicksilver in 2000 and 2001 and the Blue Salomon Games). 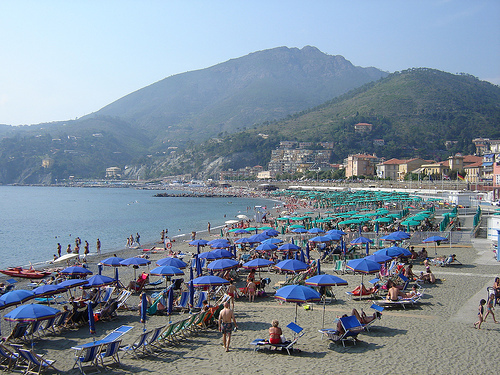 Levanto really offers the opportunity to experience the sea at 360 degrees, adapted to the needs of all visitors. Enjoy the convenience of the several beach clubs or of the public beach areas for a relaxing holiday. 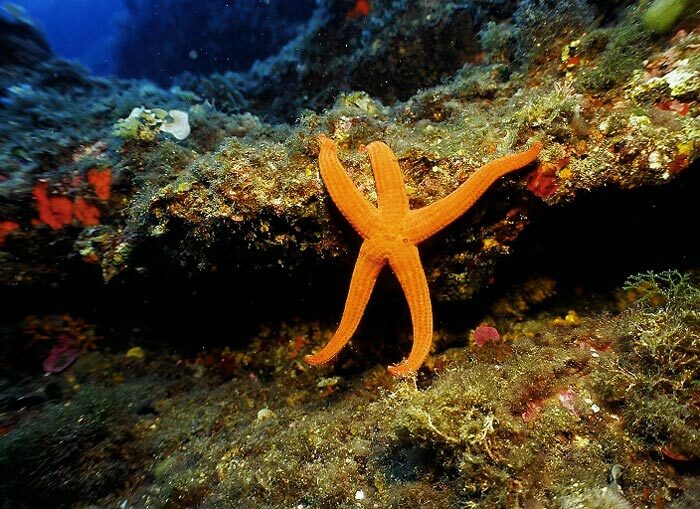 Discover the wonderful sea landscapes of the Gulf of Levanto and the Marine Reserve of the Five Lands and explore the unforgettable sea bottom in complete safety thanks to the diving schools in the village. Ride the waves in the gulf of levanto, famous among surfers of all around the world, both amateurs and professionals, and chosen for some very important events, like the Big Wave Invitational and the Blue Salomon Games. There's not just only the seaside. Levanto's surrounded by hills that offer the possibility of walking tours, following the trails of the park of the five lands, overlooking over the sea and to reach hinterland areas, up to the Val di Vara, also know as the organic products valley. 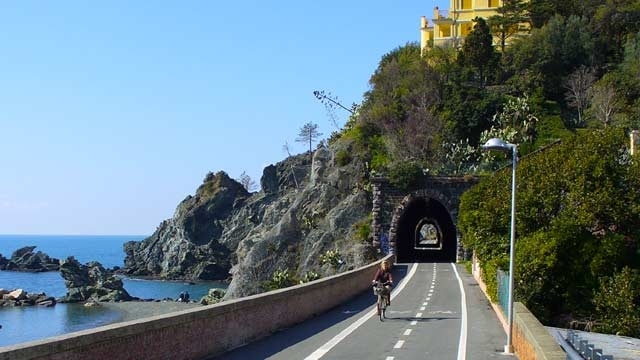 The Levanto-Framura bycicle path is a walking and cycling route between levanto and framura, 5 km circa long, mainly through tunnels, with an easy to ride, flat and panoramic road. During the Roman Empire, in the place where Levanto rised, there was a village called Ceula, located on the hills, which was considered an outpost of great strategic importance due to its location. During the ninth century, the current San Siro's Church bell tower, has been of service as a defense and a warning against dangers and enemies coming from the sea. 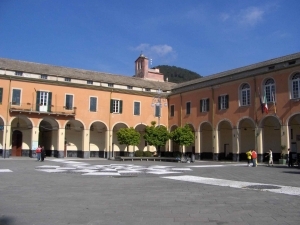 Levanto became a feud of the Malaspina family first and of the Da Passano family later, then in 1229 became part of the Republic of Genoa. The AGNELLI VILLA, built in the early 900 and famous for the beautiful gardens, it stands at the end of the walk near the sea. Loved by tourists, it's also called "the Stone" by the unique stone that decorates its tip, coming, according to local legend, from a meteorite. 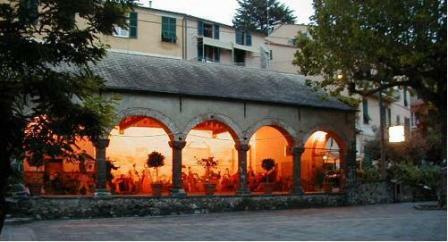 The MEDIEVAL LOGGIA, awarded by UNESCO of the title of "Monument giving witness of culture and peace" in 2007. PIAZZA CAVOUR, formerly the internal courtyard of the "Monastery of the Poor Clares", in its center it's still possible to see, through a glass, the wells used by the "Poor Clares" nuns order. The CHURCH of SANT'ANDREA. 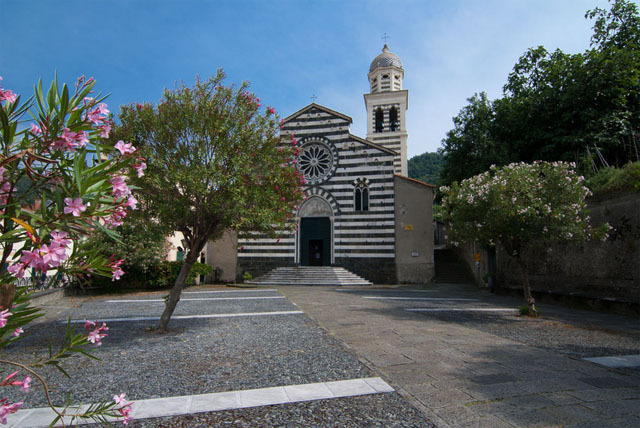 A clear example of Ligurian Gothic from the thirteenth century, its black and white striped facade became one of the icons of Levanto. There's an outstanding rose window that decorates the main entrance to the church and inside you can see Henry VIII's goblet and a monstrance made in the first half of the sixteenth century. Monterosso, Vernazza, Corniglia, Manarola, Riomaggiore: these are the gems set along the beautiful coast path that goes from La Spezia to Levanto. Not to be missed by everyone who visits Levanto. These villages are located on and in front of the sea, and they get their typical charm from the natural scenery which surrounds them and by the villages' structure that tells more about the history of this lands and about the people who lives there. We suggest to use trains to visit the Five Lands, town centers are not reachable using a car, and finding a nearby parking is often difficult. 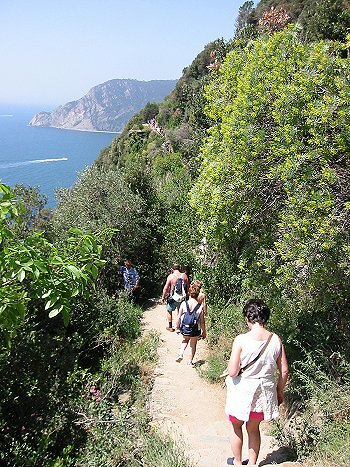 As an alternative, if you are into sport activities, you can visit the Five Lands, starting from Levanto, on foot or by bike, following the suggested tracks in the Park of the Five Lands.